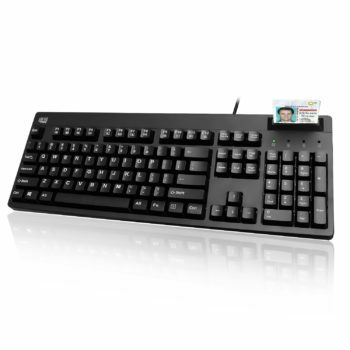 Adesso EasyTouch™ 630SB Smart Card Reader Keyboard with SCR features a 104-key keyboard layout with a built-in Smart Card Reader (SCR) for identification systems, secure web applications, and secure login.This is the perfect Point of Sale Keyboard with security and multi-functional abilities. 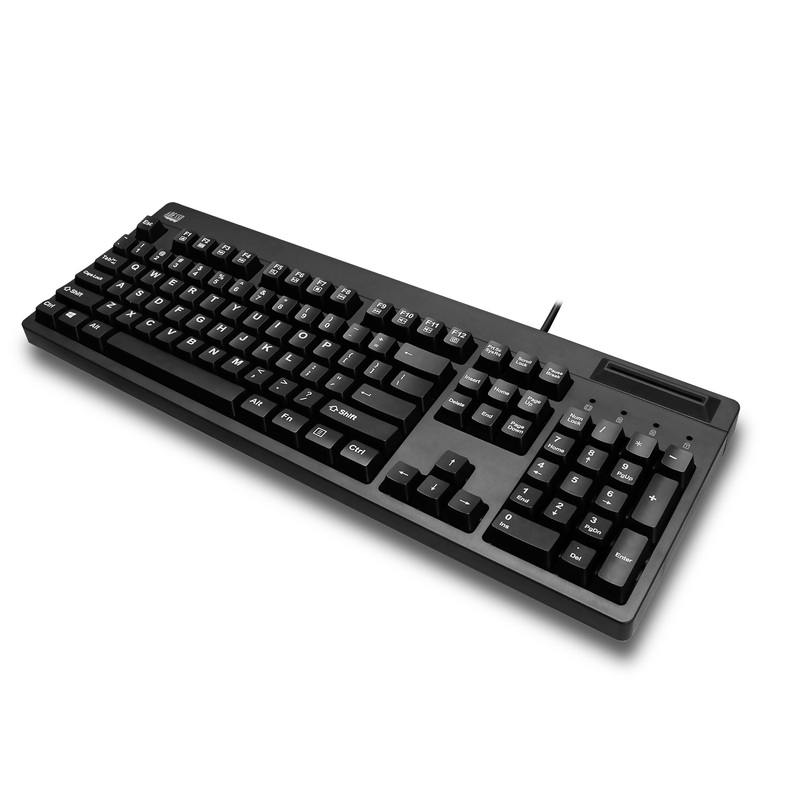 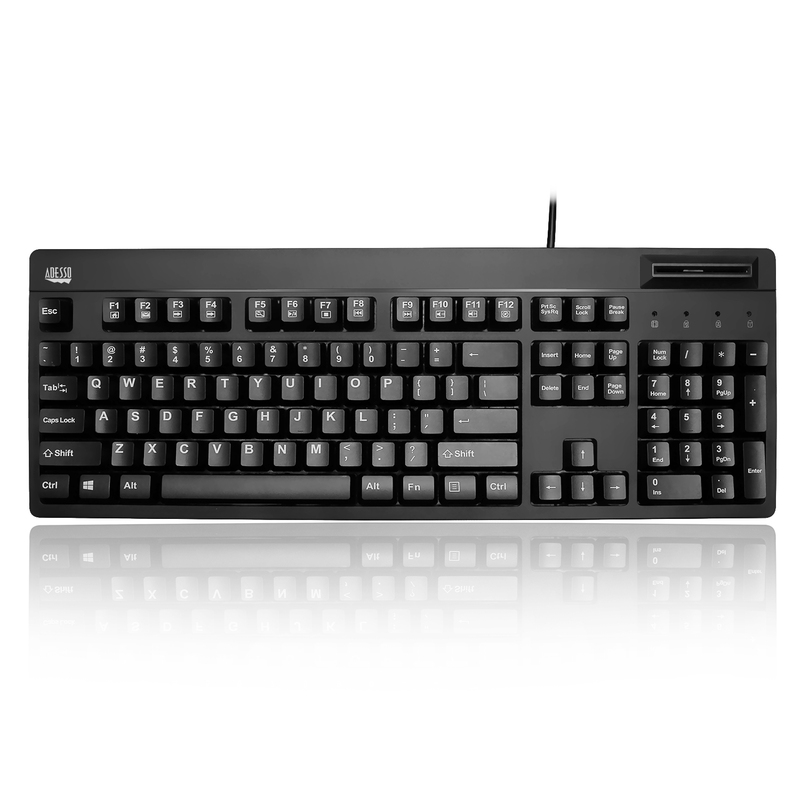 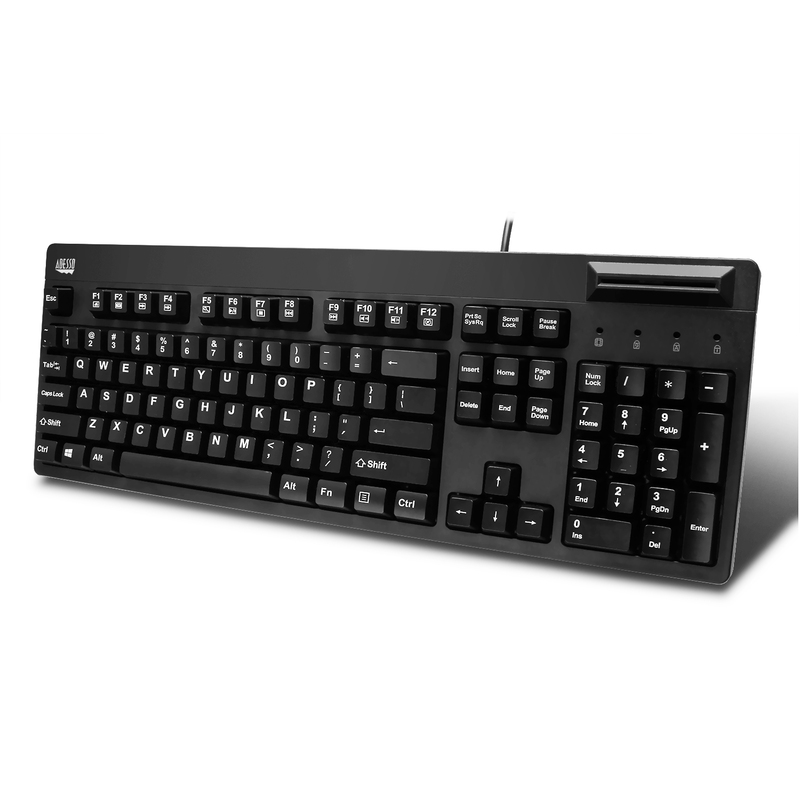 This full-sized keyboard is perfect for any desktop, kiosk, office, or warehouse, while the built-in multi-functional hotkeys allow quick access to your multimedia controls and Internet browser commands.The Membrane Key Switches provide long lasting and durable action, smooth to the typists touch, and do not attract as much dust and grime as other keyboard switches. 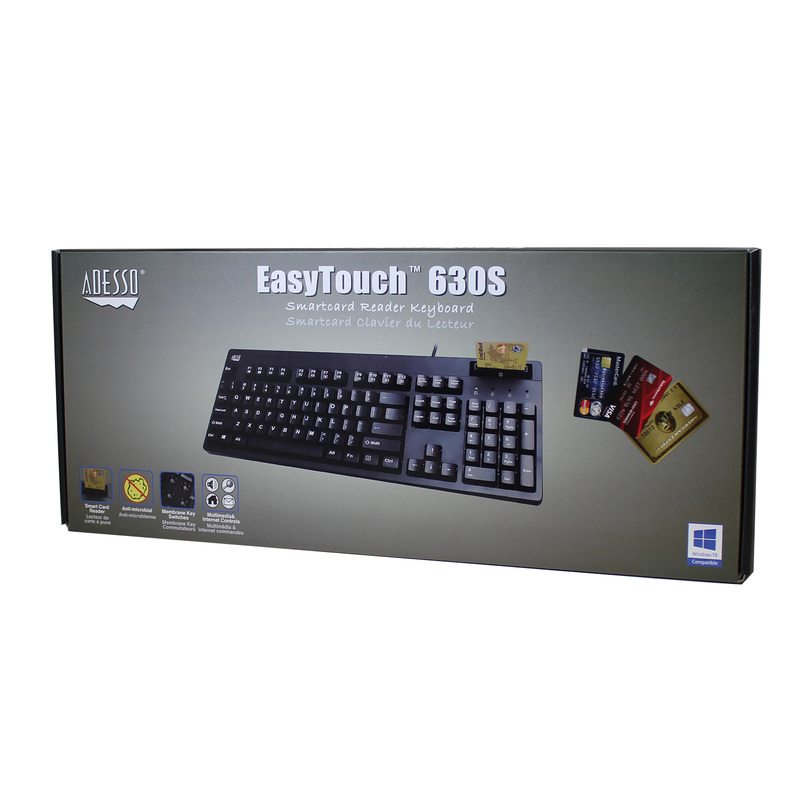 With all these amazing features, Adesso EasyTouch™ 630 Smart Card Reader Keyboard with SCR is the ultimate all-purpose full-sized keyboard for business, security, and retail. 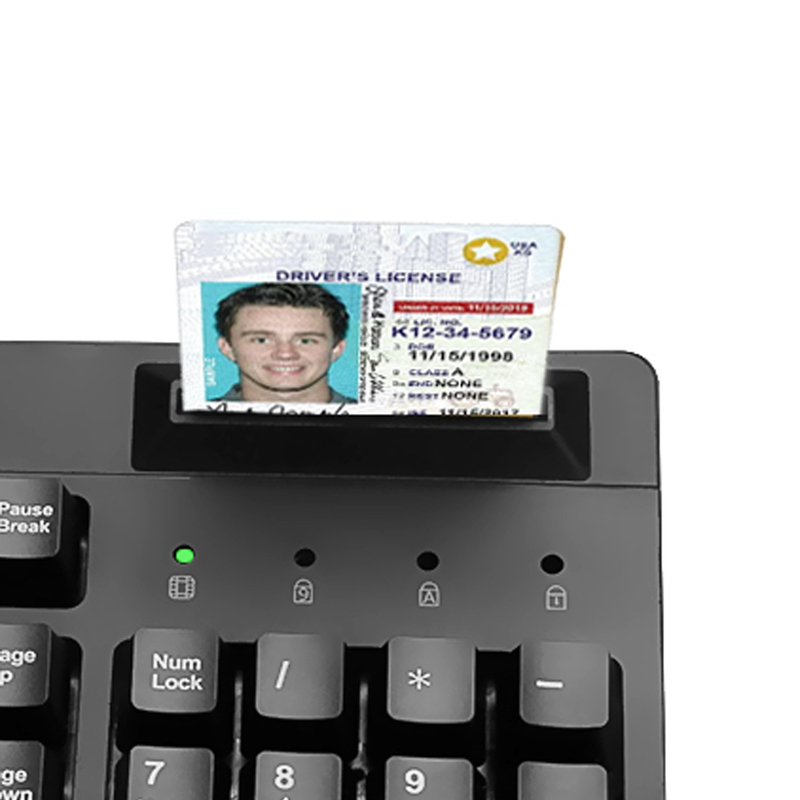 Brings extra security and ease for identification systems, secure web applications, and secure logon. 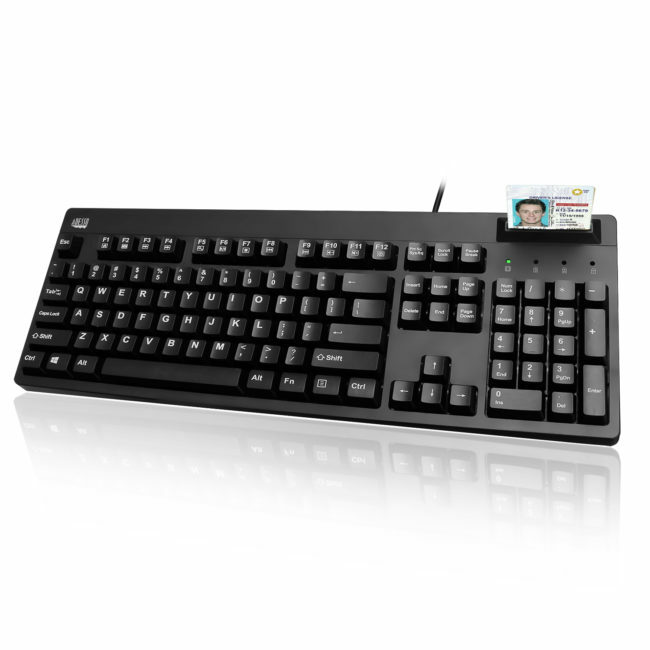 Due to its secure nature, smart card keyboards are extensively used by industries like banking, healthcare, e-commerce, and government agencies. 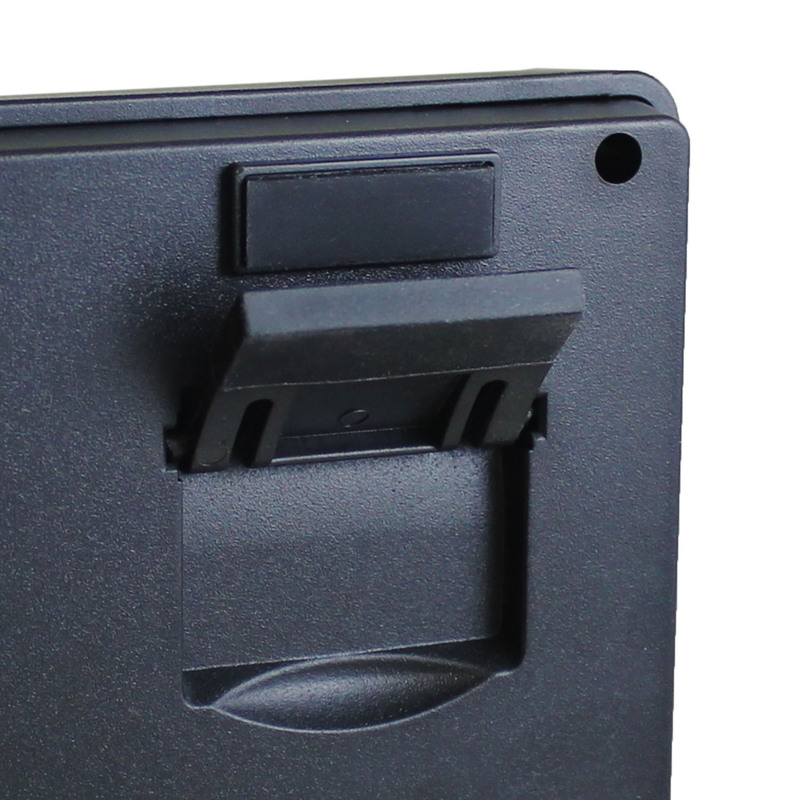 Made with antimicrobial material which prevents the growth of harmful bacteria and protects against the build up of germs. 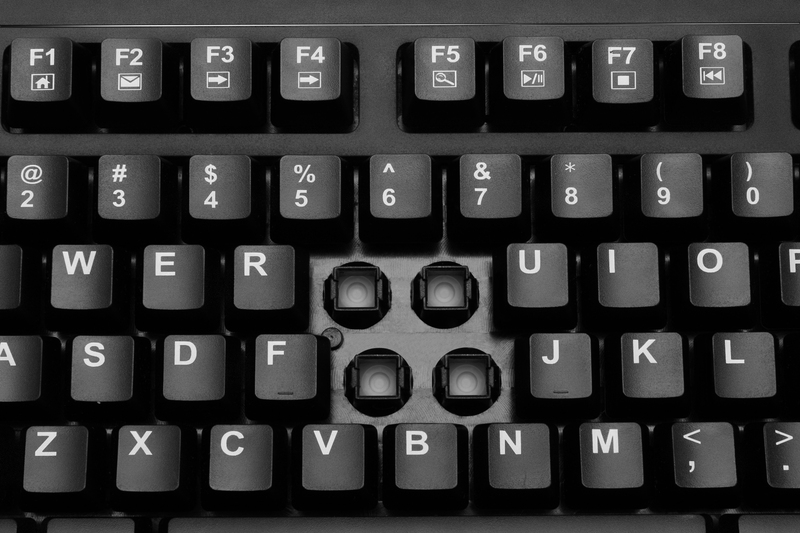 The 2X size print on the keycaps provide excellent contrast and stronger appeal over traditional keyboards that have small, hard-to-read printing.